We are a credible Manufacturer, Exporter and Supplier of Nonylphenol Ethoxylate based in Maharashtra, India. 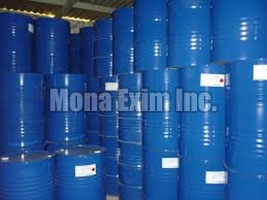 Nonylphenol Ethoxylate is used in manufacturing antioxidants, lubricating oil additives, laundry and dish detergents, emulsifiers and solubilizers. Due to its ability to act with estrogen-like activity, the Nonylphenol Ethoxylate finds prevalence potential role as an endocrine disruptor and xenoestrogen. We hygienically pack Nonylphenol Ethoxylate in order to ensure long shelf life and maximum protection from biological contaminants.